Cultural synesthesia in marketing: Tiffany, Cadbury, and Corona use multiple senses. Marketers are using colors, scents, sounds, and other sensations to manipulate buyers. 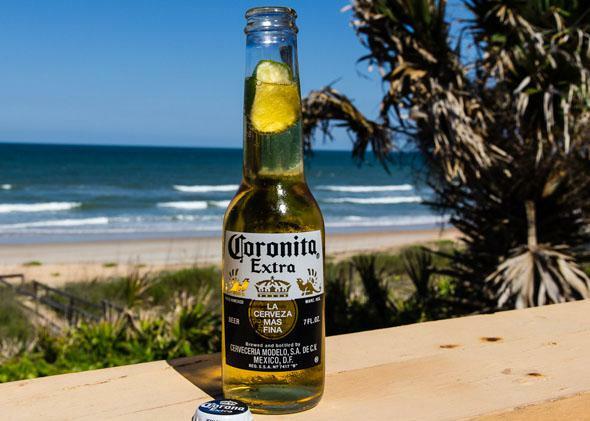 Corona is thought of as a lighter beer than it really is because it’s yellow and comes in a clear bottle. With ever more pressure to vie for consumer attention, marketers are trademarking in new sensory territory, explains anthropologist David Howes, who directs the Centre for Sensory Studies at Concordia University in Montreal, Canada. His upcoming book, with Constance Classen, is Ways of Sensing: Understanding the Senses in Society. Laura Spinney: How are marketers exploiting our senses in new ways? David Howes: We’re seeing a rise in multisensory marketing, whereby more of the senses—sometimes all five simultaneously—are recruited to sell a product. Hotel chains have signature scents; Starbucks has soundtracks to complement the flavor of its coffee. In the past most marketing passed through the aural and visual channels, and the other senses were neglected. Now the idea is that, with so much competition for consumers’ attention, no sense should be left unturned. LS: In what ways do our senses overlap in our experiences of consumer goods? DH: It’s about associations. Over time, for example, people came to associate the particular shade of blue used by Tiffany’s jewelers with luxury. Likewise, in the United Kingdom, purple sells chocolate because those who have grown up around Cadbury’s Dairy Milk bars associate the color with gustatory pleasure. Another example is Corona beer. A study by my team indicated that its popularity among women has to do with the fact that Corona is considered light. It’s not technically a light beer, but it comes in a tall, clear bottle and is the color of sunshine. We have a name for such cross-sensory associations: synesthesia. LS: By synesthesia, do you mean the rare neurological condition in which sensory pathways are linked, so people might taste shapes or associate letters with specific colors? DH: That’s how it is usually described, but synesthesia also has cultural manifestations. From a marketing point of view, those are the most interesting. In “pure” synesthetes—those with the neurological condition—the sensory connections tend to be highly idiosyncratic, differing between individuals. Cultural associations, on the other hand, are shared by populations. LS: What are examples of cultural synesthesia? DH: In China, the color white is often identified with a harsh, foul odor. In the West, white is usually identified with soft, sweet smells. Such cultural associations can change over time. Mint was perceived as heating and drying in Western cultures prior to the modern era; now it’s more likely to be perceived as cooling and refreshing. And some associations may be universal. To take a well-documented example, most people would say that the word “maluma” sounds like a curvy shape, while “takete” sounds like a sharp-edged one. LS: To some extent, haven’t marketers always exploited these types of associations? DH: In the past, marketers may have hit on successful combinations intuitively or by chance. So this showed up in slogans such as “Taste the rainbow” for Skittles sweets or “Hear the big picture,” the tagline for Canada’s national radio broadcaster. The idea was simply to catch people’s attention by presenting them with a logical conundrum. Later, sensory stimuli were combined in culturally relevant ways. An example is the U.S. dairy producers’ “Got milk?” poster campaign, which depicts celebrities with milk mustaches. In 2006 a twist was added when the scent of cookies was diffused in bus shelters in San Francisco where posters were displayed, to capitalize on the milk-cookie association in American culture. 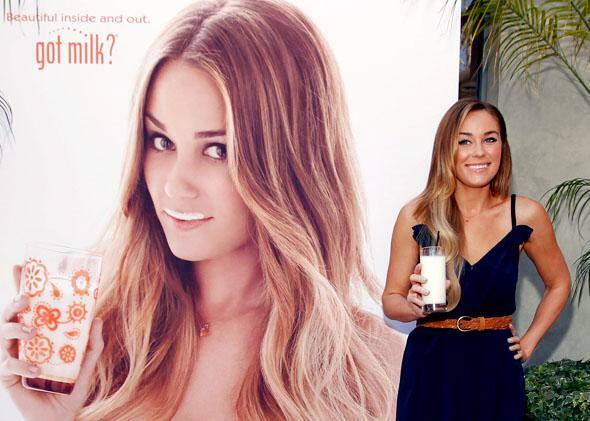 “Got milk?” ads, like this one featuring Lauren Conrad, bring to mind the sensation of having a milk mustache. LS: So this strategy is becoming more deliberate? DH: These associations are now being investigated more systematically. Marketers want to know why they work. Sometimes this happens retrospectively. To investigate why Corona was popular among women, for instance, we hung out in bars, entered into casual conversations and paid close attention to people’s gestures as well as their words. We noticed that women often rubbed their thumb and forefingers together when speaking of what they liked about Corona. This suggested fineness, delicacy. Our research suggested that their preference was down to shape and color. LS: From now on, will companies be employing people to simply observe us? DH: They already are. Ethnography—the scientific study of culture—is now emerging as the research method of choice, over focus groups and interviews. It goes beyond what people say to explore how they actually behave in everyday settings. This allows ethnographers to uncover the implicit perceptual categories that people use to order the world of goods—as in the Corona example. Another famous example is the practice of adding weight to remote controls, after manufacturers discovered that users tended to perceive heavier remotes as being of higher quality. LS: Does sensory cross-referencing ever backfire? DH: Yes. Take the “Got milk?” ad campaign in San Francisco bus shelters. The marketers hoped the association with the cookie scent would be irresistible, but interestingly, a lot of people complained. They felt it encouraged overeating, and that it was insensitive to homeless people. In another case, responding to a perceived consumer desire for purity, Pepsi marketed a clear cola drink in the 1990s with the slogan “You’ve never seen a taste like this.” The idea proved popular in the lab but failed in the real world because people associate cola flavor with a dark, rich color, so they associated no color with less flavor. Marketers are now realizing that, to avoid these kinds of mistakes, it is important to conduct fieldwork first. LS: What other fieldwork has been done to investigate these cross-sensory associations? DH: My colleague Bianca Grohmann has studied how background music and ambient scent together influence people’s perceptions of shops at Christmastime, for example. When combined with tracks from Christmas albums, room sprays that people associate with the holiday enhanced positive evaluation of a store and its merchandise. But if either the scent or the music was not considered Christmassy—if the combination was perceived as incongruent—there was no such enhancing effect. LS: Is more of this kind of research now happening prospectively? DH: Yes. Researchers at the University of Mainz in Germany have determined, for example, that the color red suggests sweetness—at least to Westerners. They had participants taste white wine served in black glasses under different ambient lighting—red, blue, green, or white. It was the same wine, but they said it tasted 50 percent sweeter in red light compared with blue or white light. Obviously, this could have implications for the color and packaging of products, and even for the retail site. This photograph illustration shows bars of Cadbury’s Dairy Milk chocolate, whose purple wrapping is linked in Britons’ minds with the taste of chocolate. LS: Are companies increasingly staking claims on things like scents and colors? DH: It used to be you trademarked brand names and logos. But now, trademark protection has been extended to colors, shapes, sounds, and scents. This started in earnest in the 1990s. To use the earlier examples: Tiffany’s had been using its shade of blue since 1845, but trademarked it in 1998. 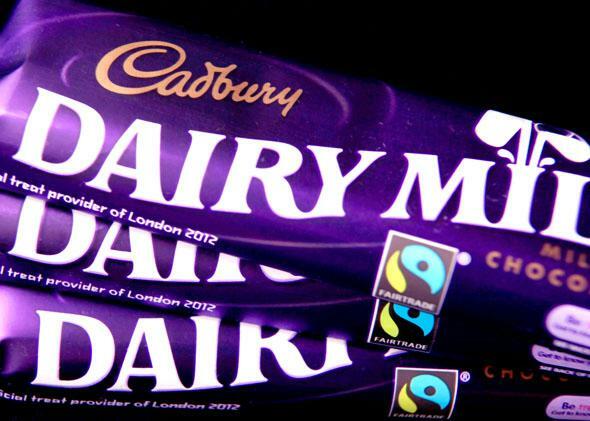 Last year Cadbury won a long legal battle to trademark the purple wrapping of Dairy Milk. These are associations that both companies don’t want other brands to take advantage of. Our sensory world is being divvied up and privatized, limiting the palette for a marketer fresh on the scene. LS: How easy is it to trademark across the senses? DH: It doesn’t always work. Harley-Davidson tried to trademark the “hog” sound of its motorcycle engines revving, but the application was turned down on the grounds that the sound was not distinctive enough. LS: Even so, are these cultural links between the senses the next land rush for marketers? DH: Potentially, synesthesia offers advertisers a way round the trademark problem. If they can establish a cross-sensory correspondence, then even though they can’t use a certain color, say, they may be able to suggest it indirectly through a sound, texture, or taste.